24-hour forecast: Mostly sunny today and partly cloudy tonight. Showers will be generally isolated, except for a few along the south coast tonight. General Outlook: Some cloudy spells with a few showers mostly over northern areas during Monday, then over the south and coast Monday night. Tonight E 10-20 kts Moderate-Rough 4-7 ft ISOLATED SHOWERS, EXCEPT FOR A FEW SOUTH. Tomorrow E 10-20 kts Moderate-Rough 4-7 ft A FEW SHOWERS NORTH. Outlook E-NE 10-20 kts Moderate-Rough 4-7 ft A FEW SHOWERS SOUTH. On Ambergris Caye this morning it's windy from the SE at 16 mph. making the sea around our Barrier Reef choppy. 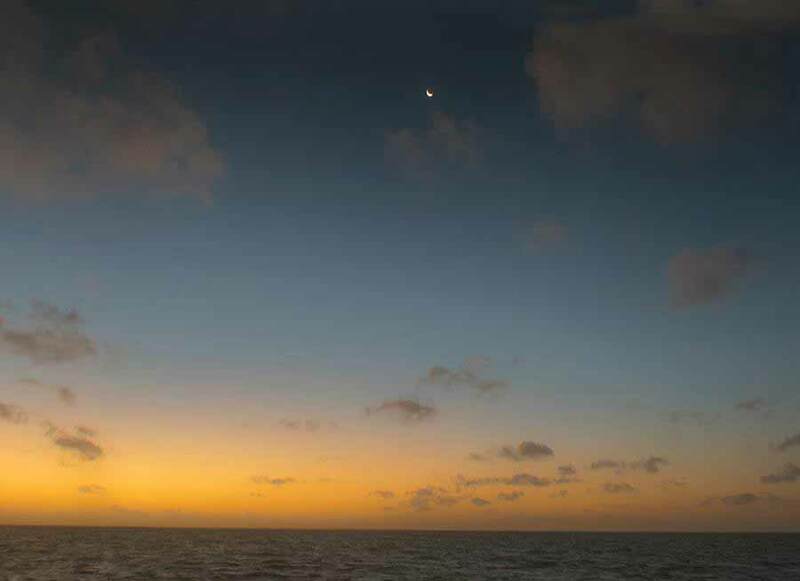 Today's expected high is 84 f.
Most of Belize was fairly cloudy free last night and early this morning. Although, due to the high humidity, a bit foggy in places. But due to the high humidity, cloud is building up on land earlier than normal, yet there is no cloud out in the easterly Caribbean winds, the cloud is just forming as the wind crosses over the coast line. There is typical Caribbean clouds, some heavy, way out at sea and they could effect north Belize later today. 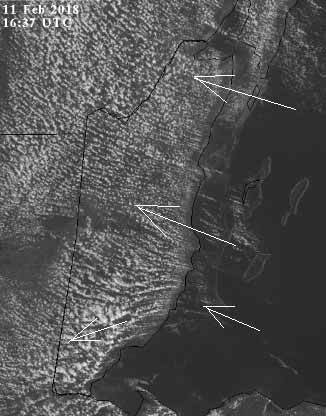 No high level cloud over Belize at present. No rain on the radar anywhere at present. Looks like today will be a sunny, dry day, but increasing clouds. 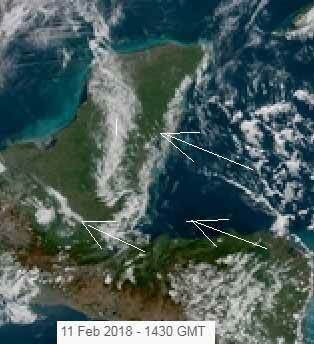 The Cloud picture: The white clouds just forming as the Caribbean air gets to the coast line.